Do you have tingling in the fingers? 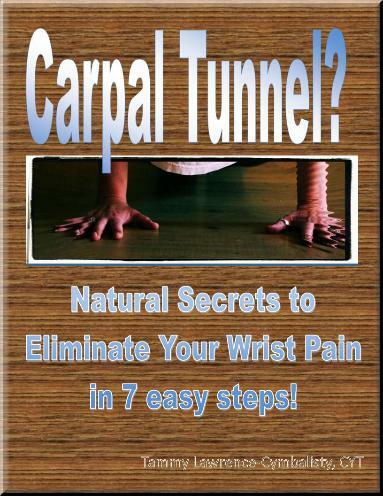 Are your wrists sore, tender, full of pain? Do you often experience pins and needles in your hands? Do you have trouble typing on a keyboard? Does it hurt to hold your controller while gaming? Do your fingers feel swollen but don't look it? Symptoms of Carpal Tunnel Syndrome can range from mild to extreme. That's an huge amount of cutting into the body for no reason. Why do I say that? Because there is an ALL natural way! I'll share with you in this ebook. In fact I've helped many students recover as well! You can download this content rich book now and have immediate access. return it in the unlikely event you are not satisfied with its content. guarantee meaning its risk free! 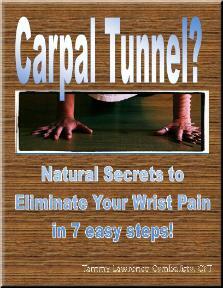 *What is Carpal Tunnel Syndrome? *What does CTS feel like? Do You Have Painful, Sore Wrists? You May Have Carpal Tunnel Syndrome (CTS)!